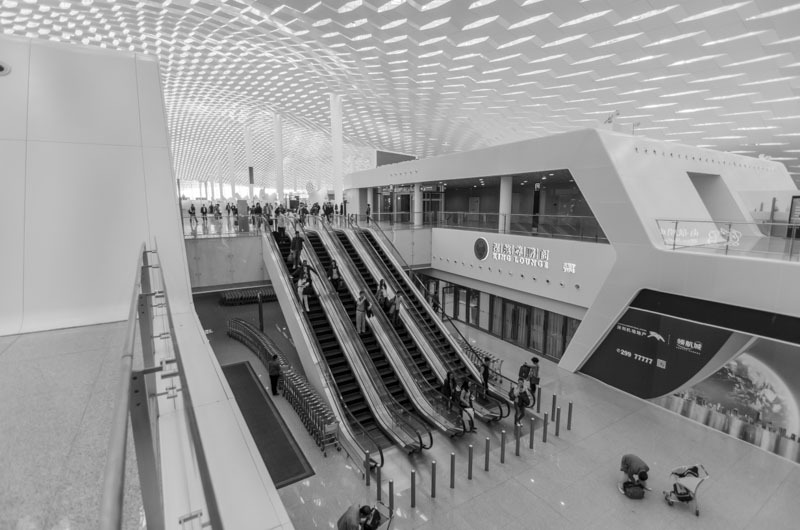 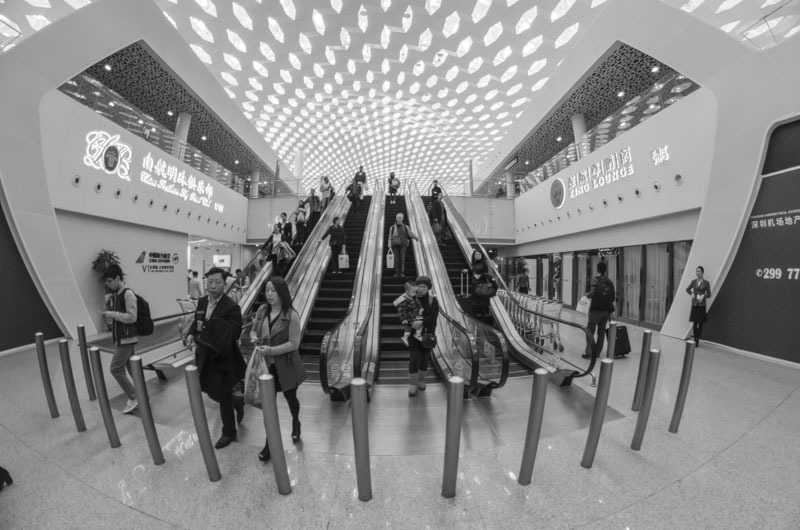 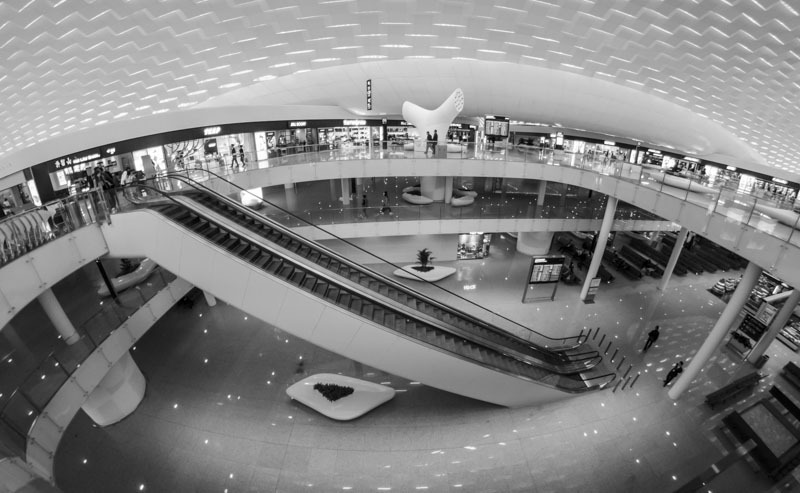 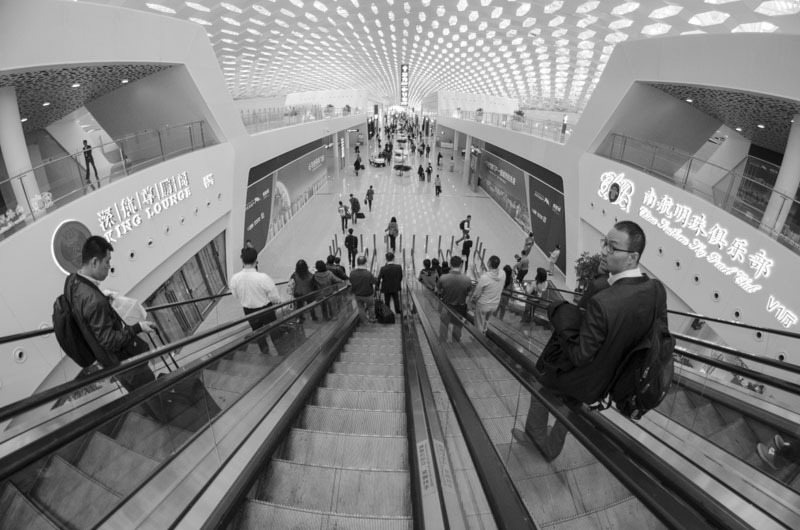 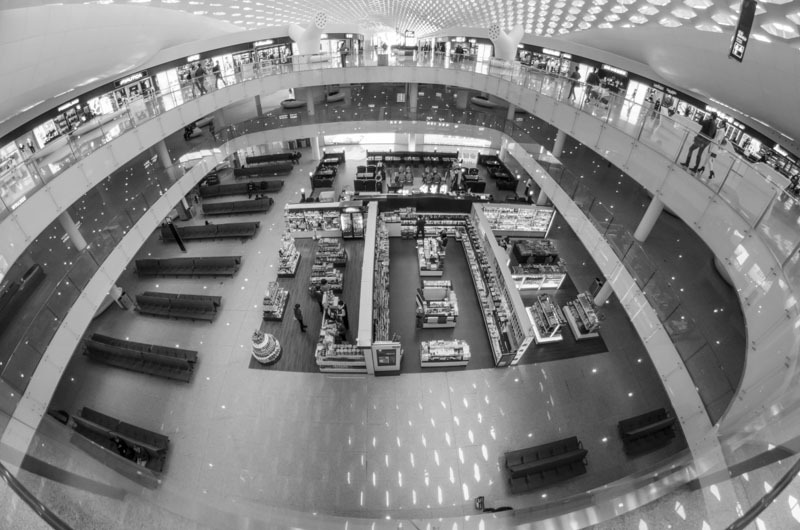 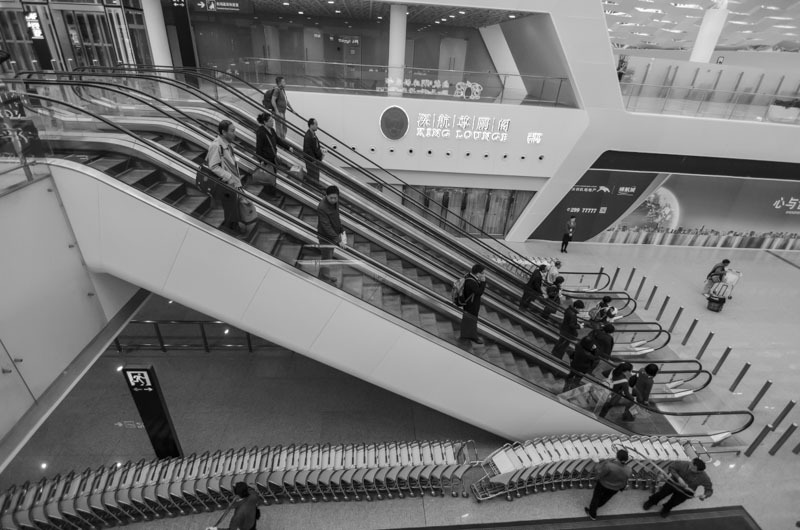 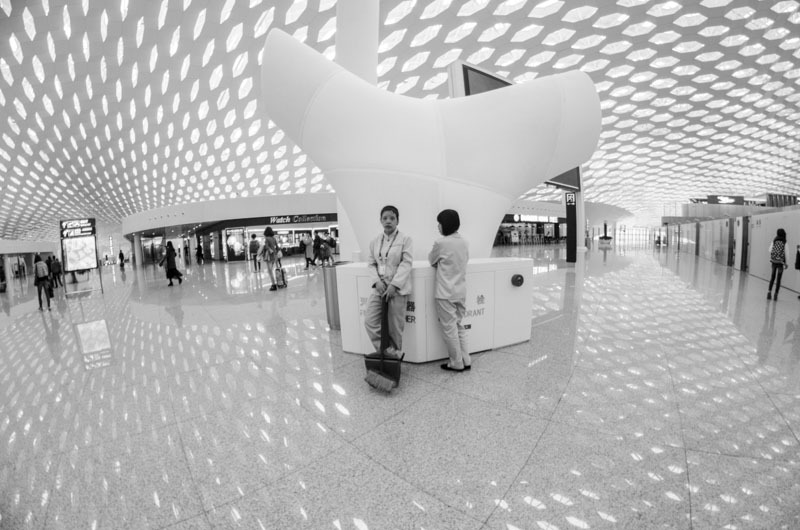 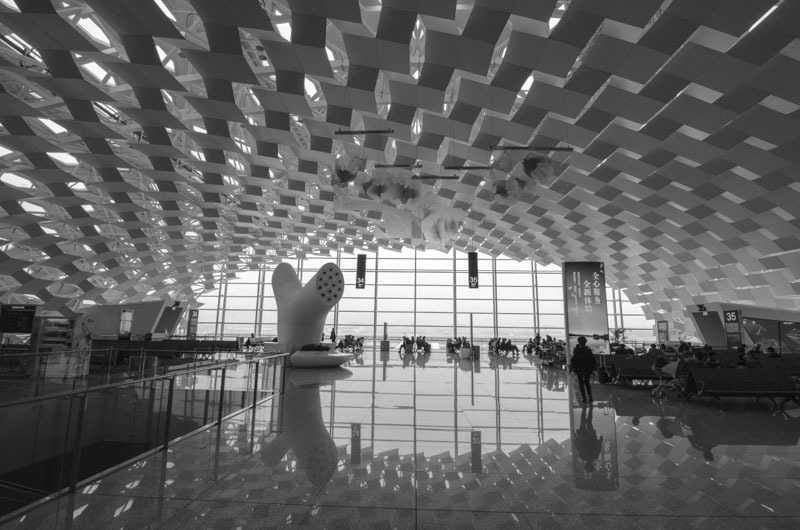 In December I photographed the 1 week old Shenzhen Terminal 3 arrivals hall because I had flown into the airport from Ningbo. 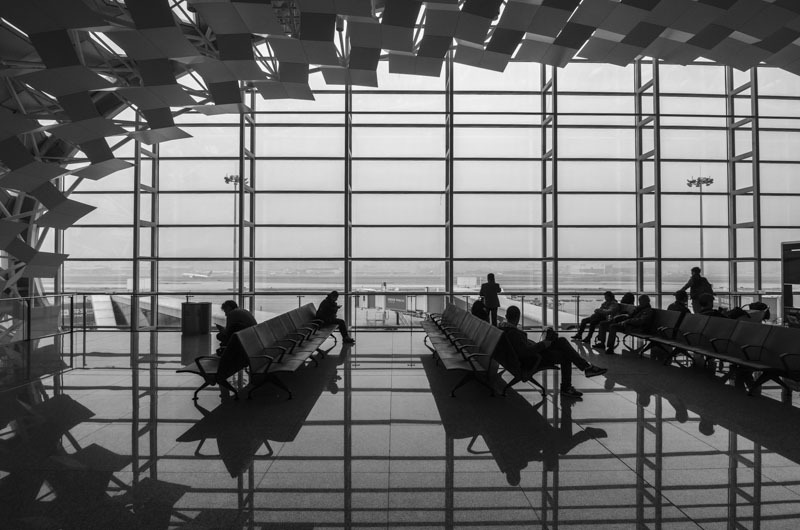 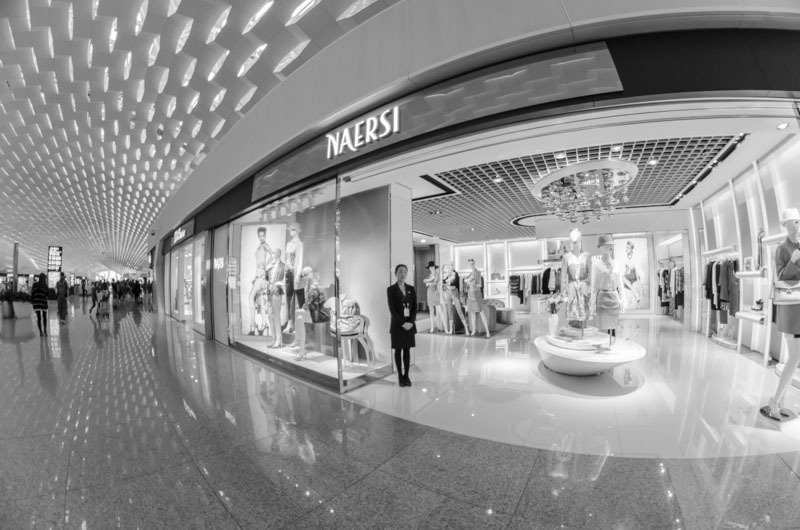 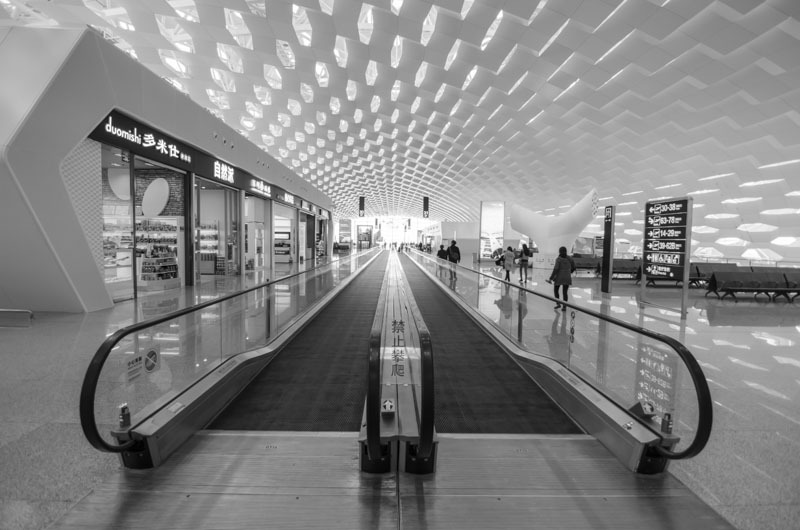 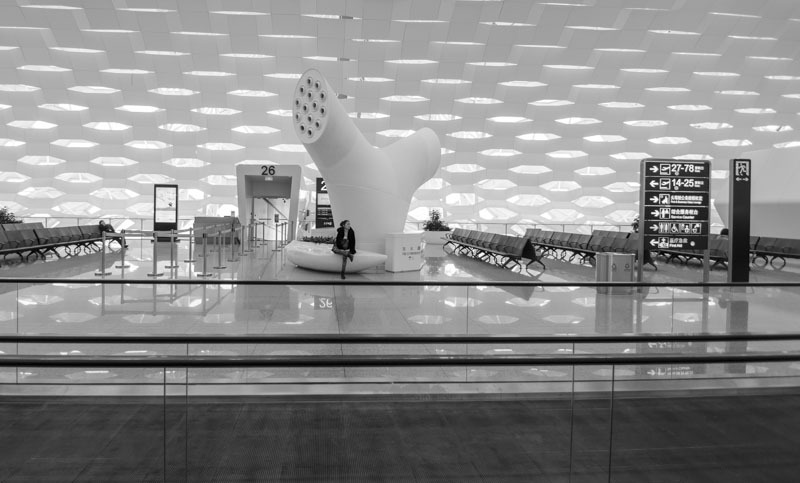 Last week I departed from the airport so I could photograph the departures hall (and get to Ningbo). 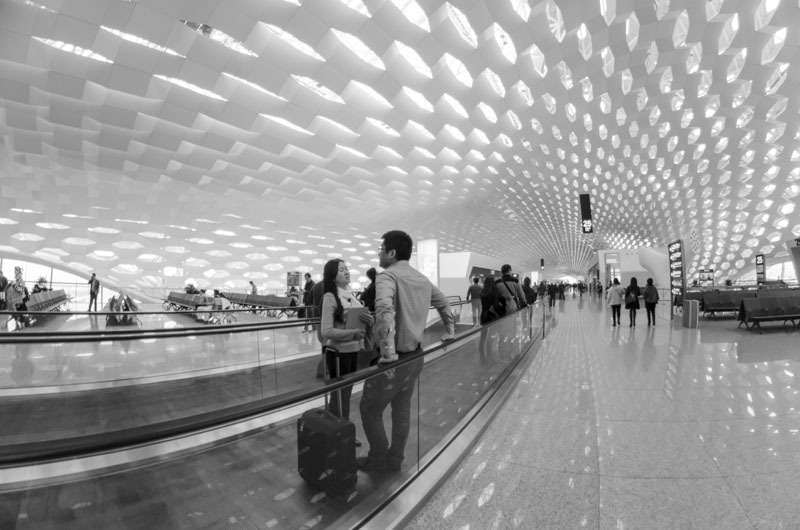 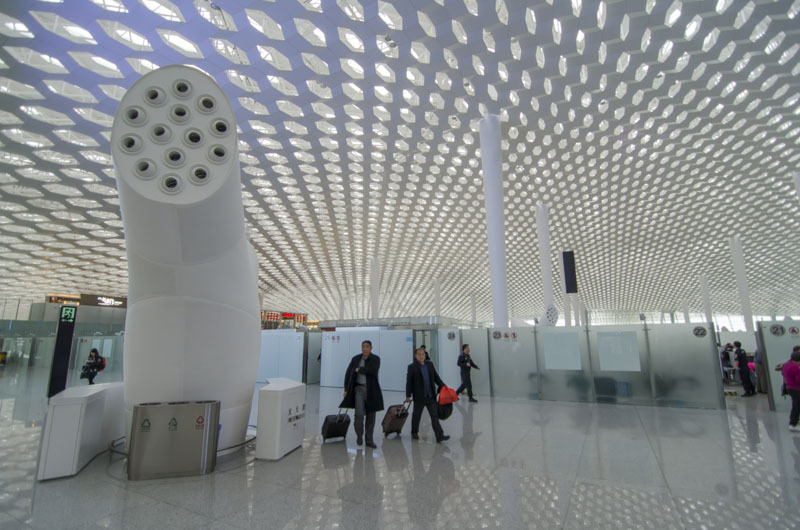 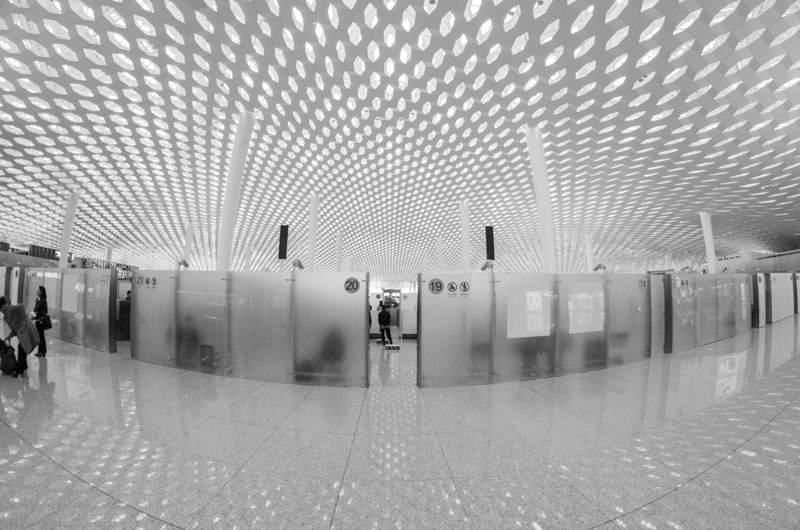 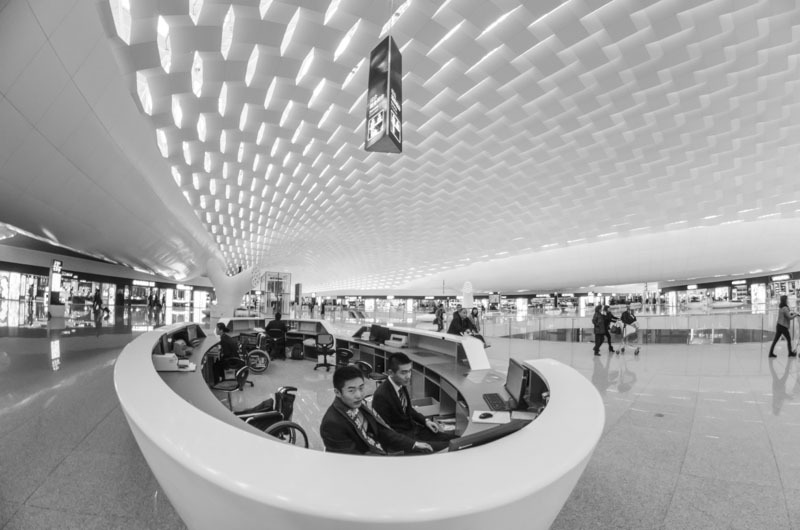 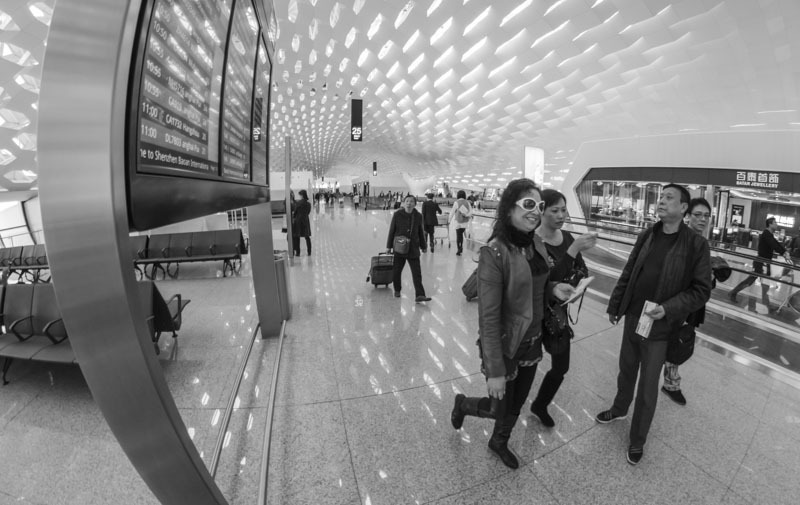 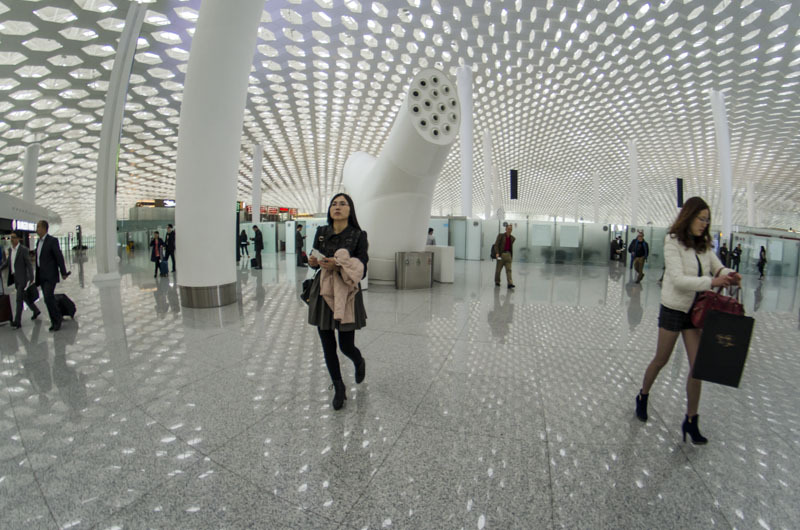 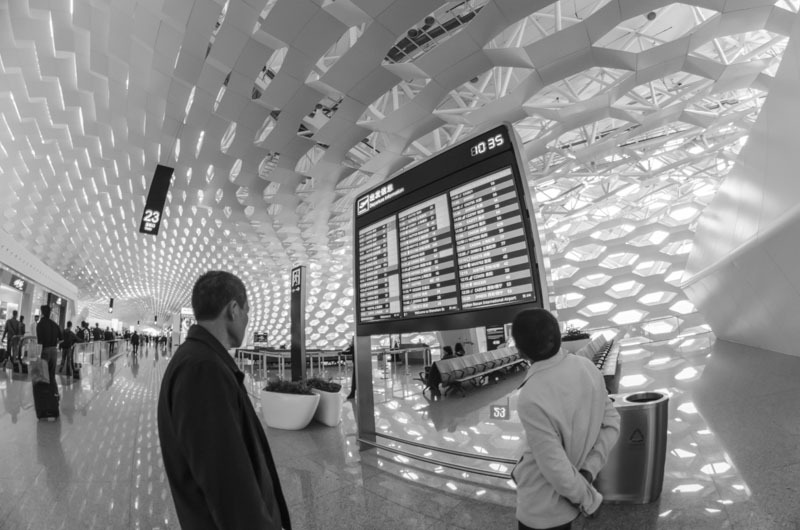 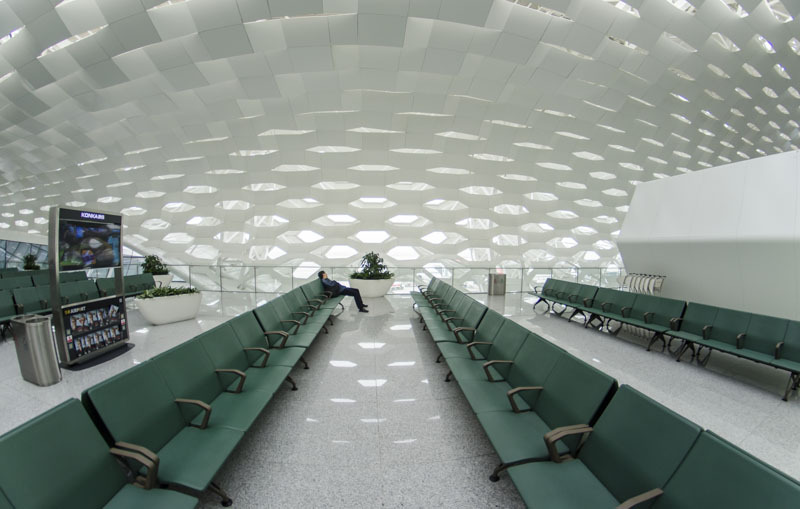 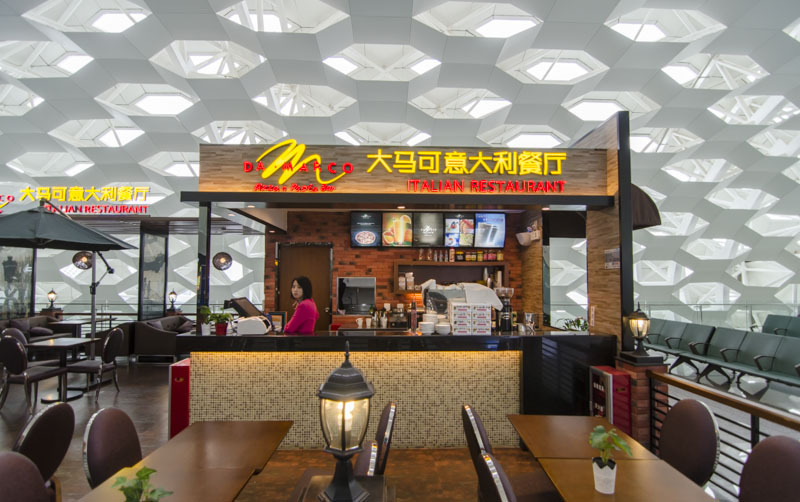 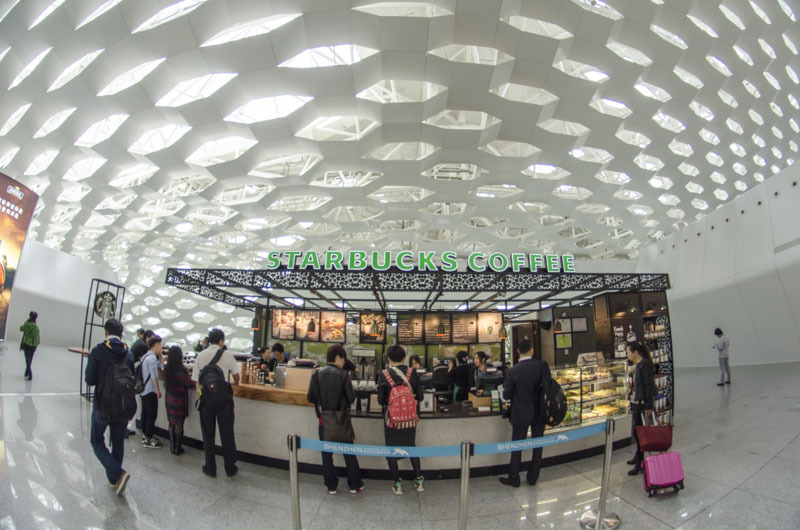 It was more spectacular than the arrivals areas because of the expansive perforated ceiling. 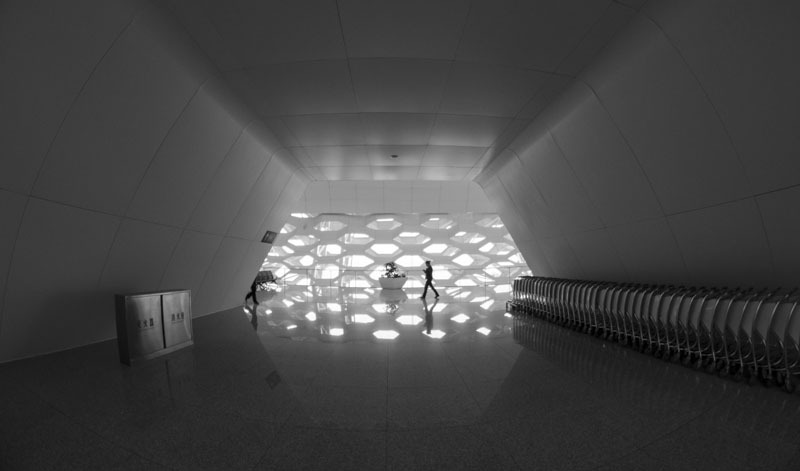 It was like walking around the interior of a space ship. 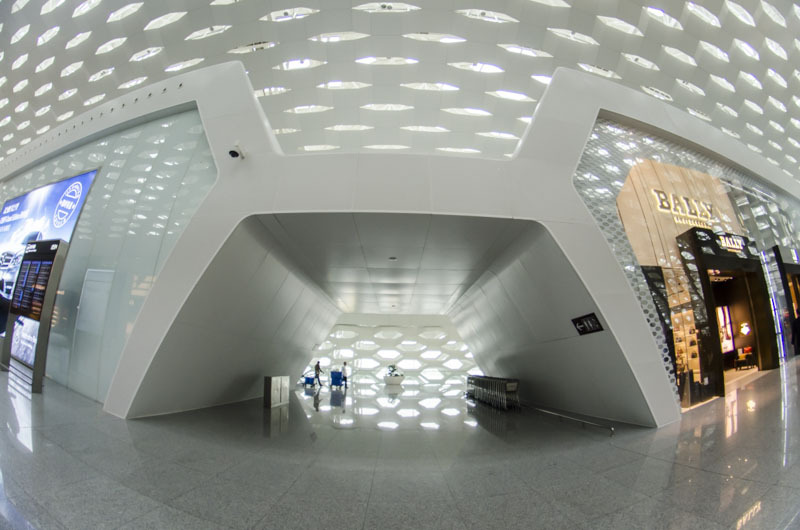 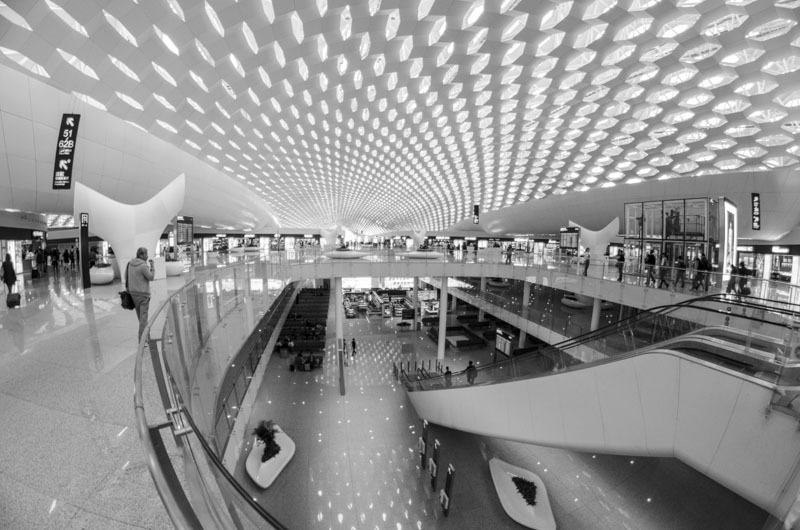 The ceiling was designed to save energy by transmitting a smaller percentage of sunlight into the terminal space. 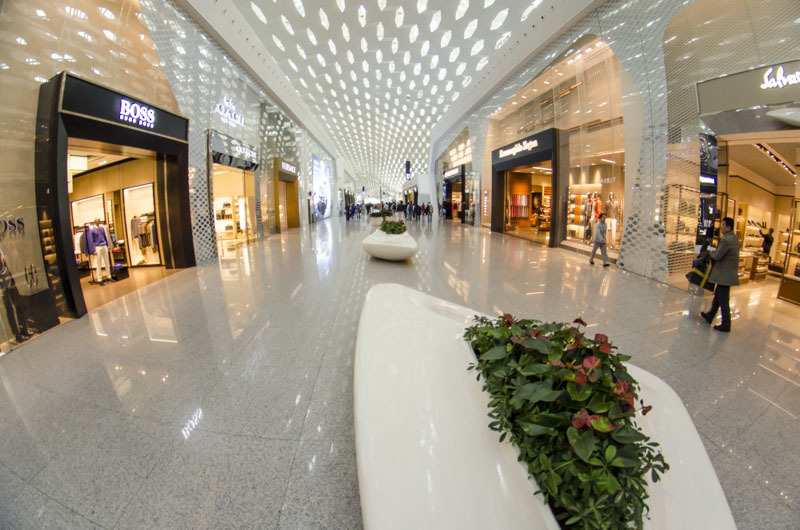 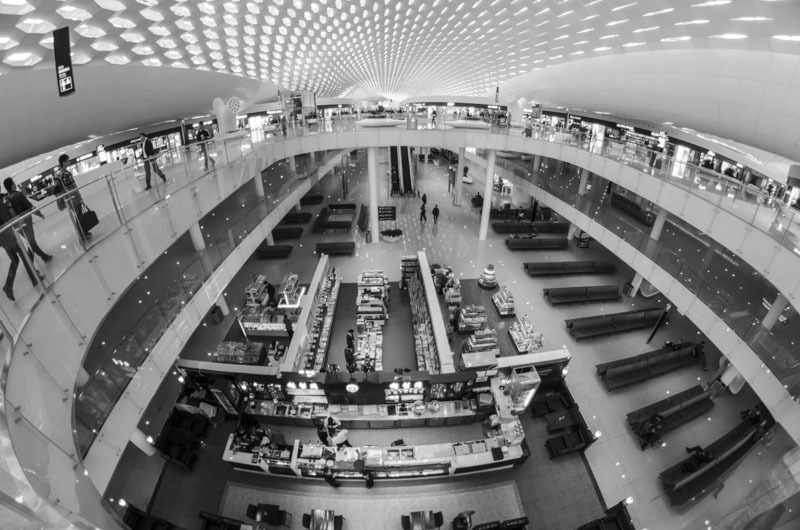 It also made the building feel more like a shopping mall than and airport because you couldn’t see the airplanes outside. 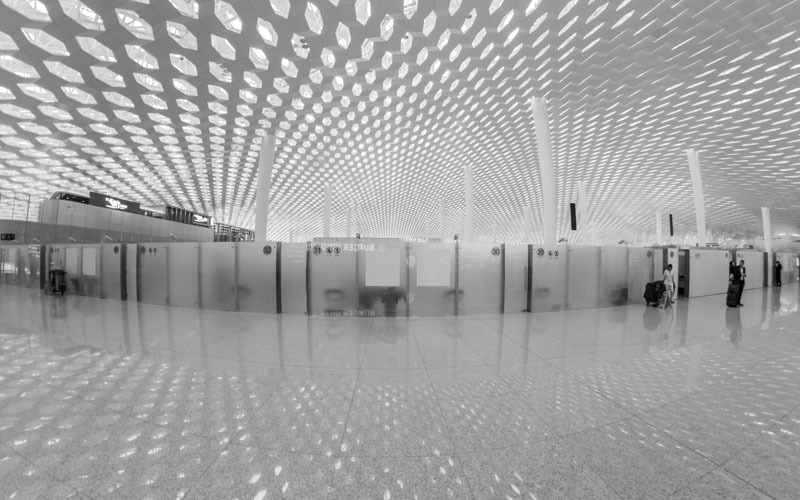 There were a few “portals”, but not many. 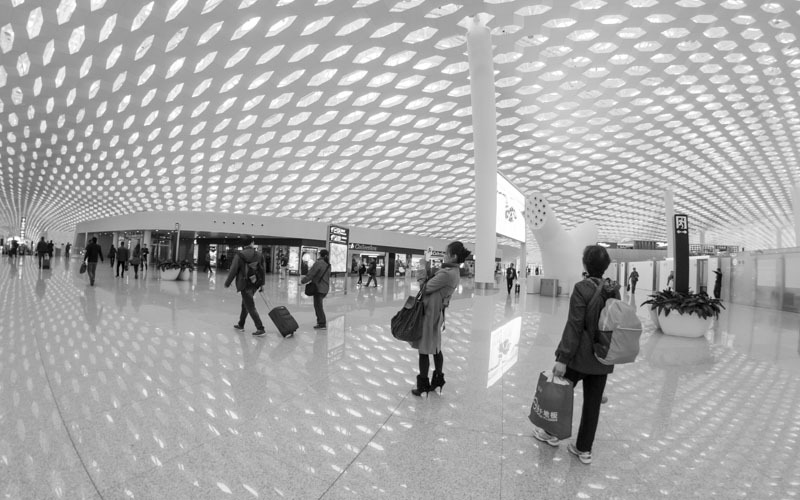 I took two full passes through the terminal. 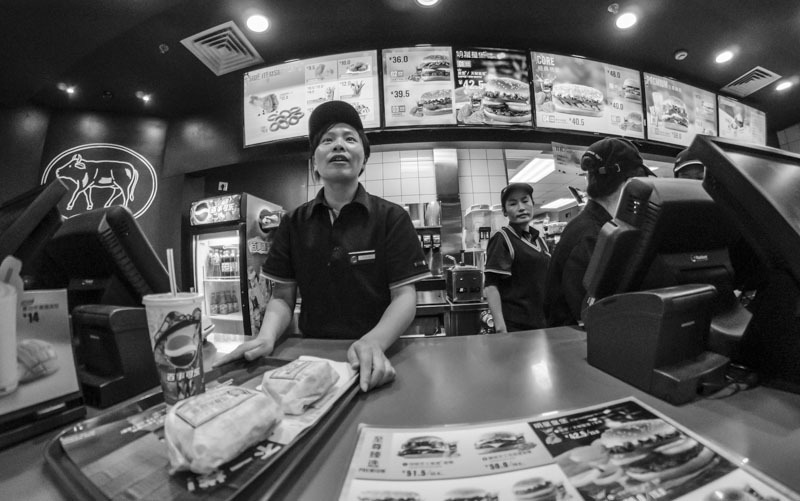 Once with an 8mm fisheye lens and then I started over with a less distorted 11-16mm lens. 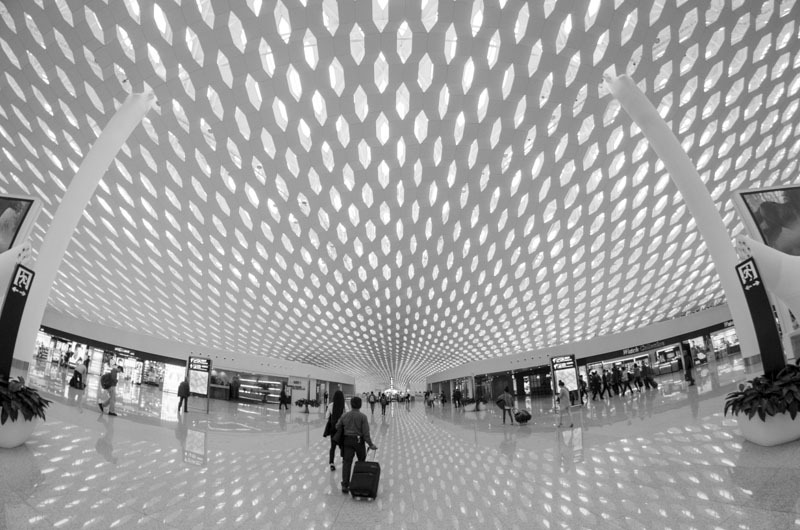 You really need to go “wide” to appreciate the scope of this airport. 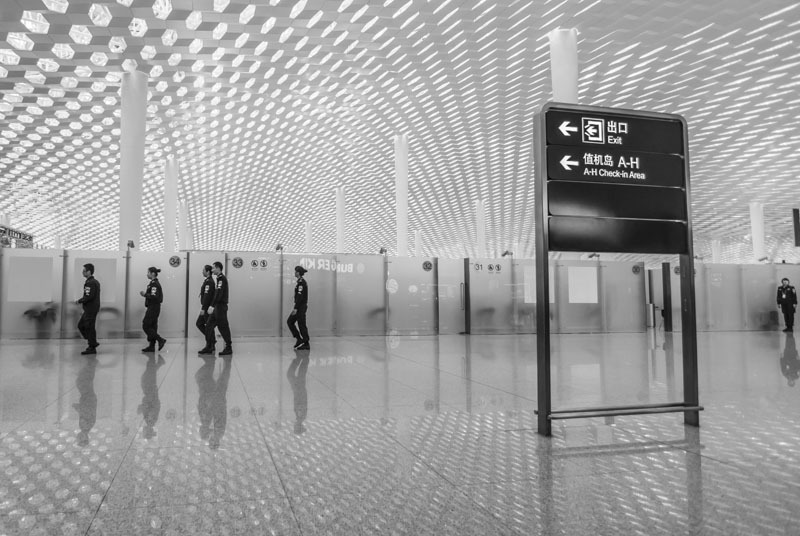 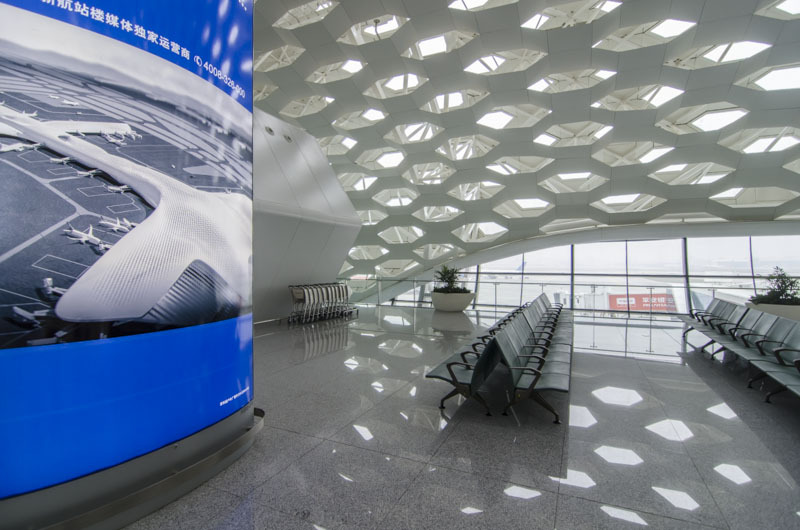 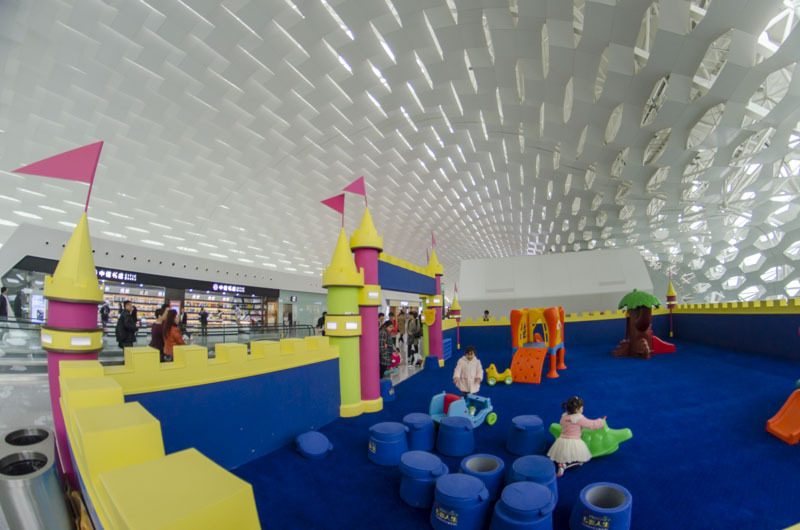 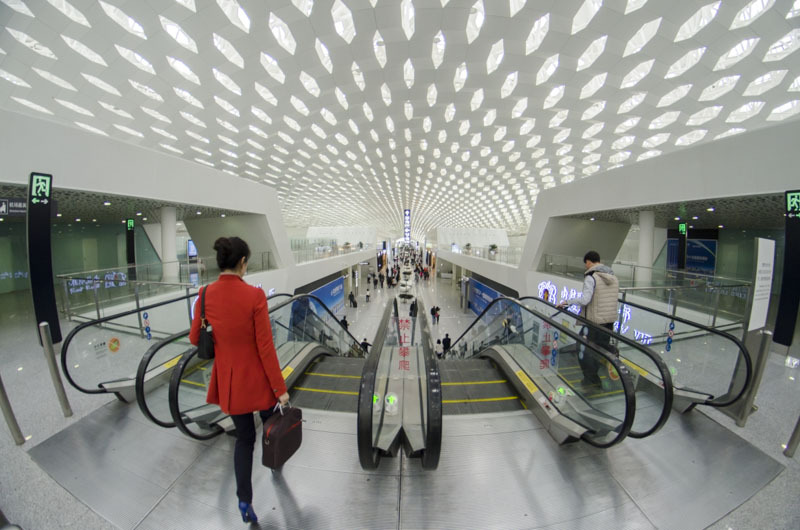 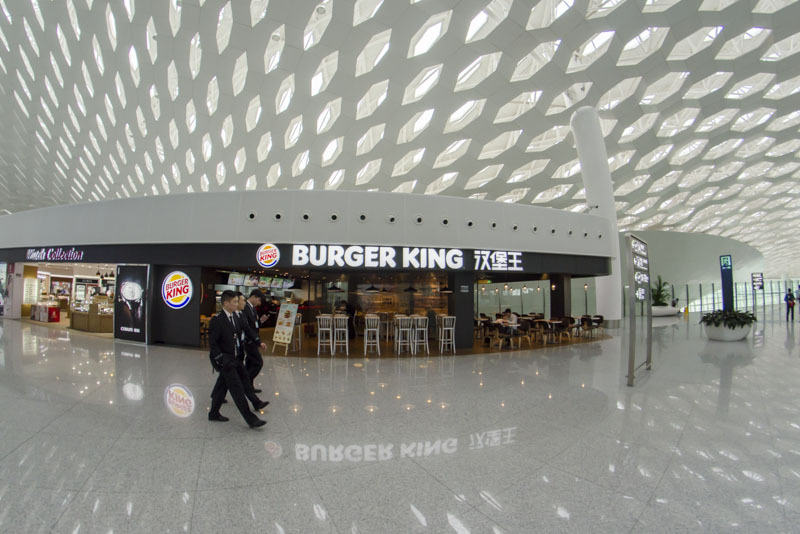 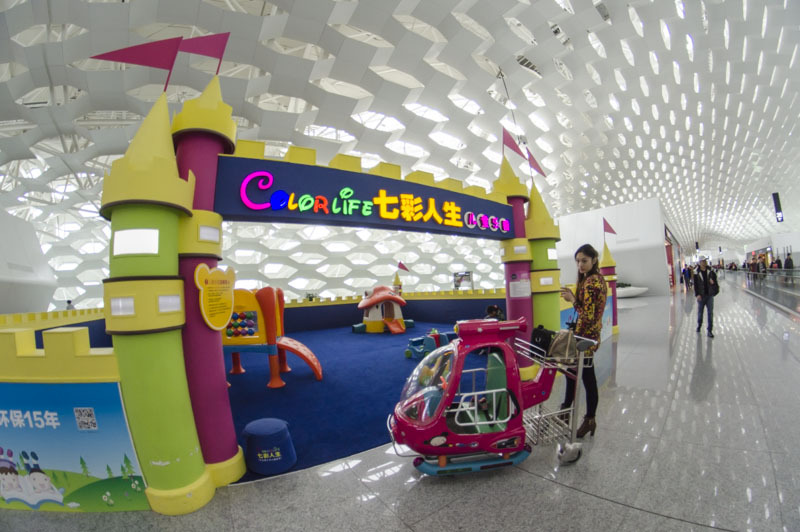 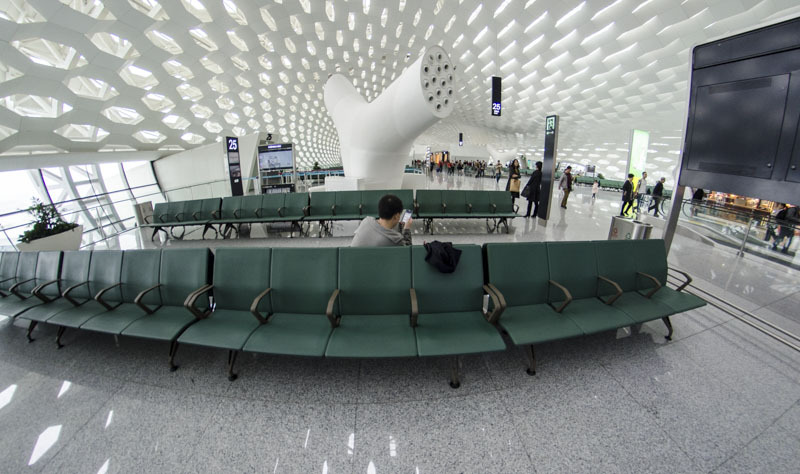 March 16, 2014 | Filed under Architecture, Aviation, China and tagged with Airport, Architecture, China, Signs, Transportation, Travel.